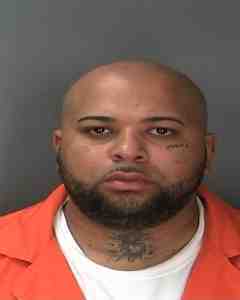 On September 20th the Seneca Falls Police Department arrested Laryan J. Hennigan, 35, of Seneca Falls on a Superior Court Warrant. Hennigan was arraigned before Hon. Dennis F. Bender on an indictment charging him with criminal possession of a controlled substance in the third degree — a Class B felony and criminal possession of a controlled substance in the fourth degree — a Class C felony. The indictment alleges that Hennigan possessed cocaine with an aggregate weight of more than one-eighth ounce with the intent to sell it. He is being held on $10,000 cash bail or $20,000 secured bond. Hennigan is scheduled to reappear in Seneca County Court on a later date for further proceedings.